If you get sick often‚ you may have a weak immune system. A weak immune system can result from poor eating habits‚ exposure to pesticides and chemicals‚ or a lack of exercise. Immune disorders immune disorders‚ certain medications‚ and chemotherapy can also leave you more susceptible to infection. Eating a diet rich in fruits and vegetables‚ regular physical activity‚ and avoiding pesticides and toxins as much as possible may help strengthen your immune system. However‚ sometimes lifestyle changes aren’t enough. In those cases‚ Priority One’s Beta Glucan 500 mg can build immunity. 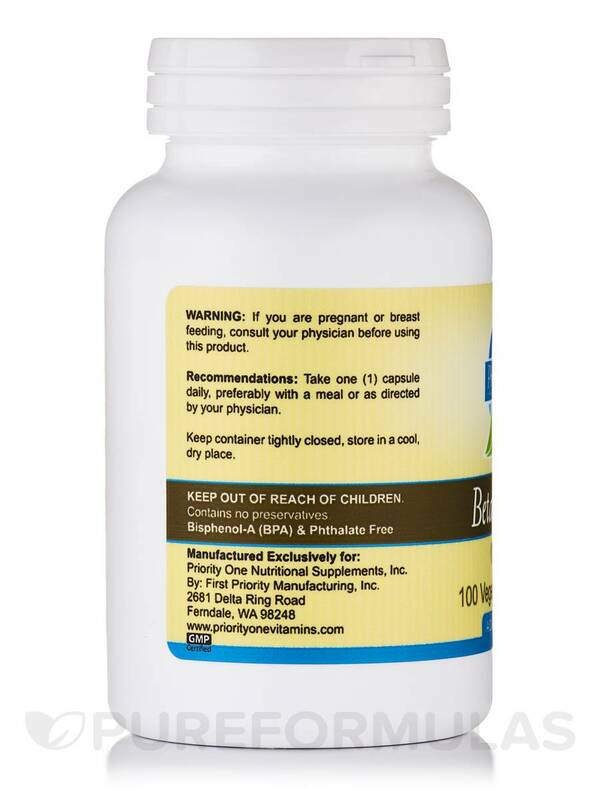 Beta Glucan 500 mg contains beta glucan‚ which is a combination of multiple carbohydrates (sugars) found in baker’s yeast‚ along with shiitake mushrooms and certain grains. Your body doesn’t produce this substance naturally‚ so it must obtain it from food or supplements. 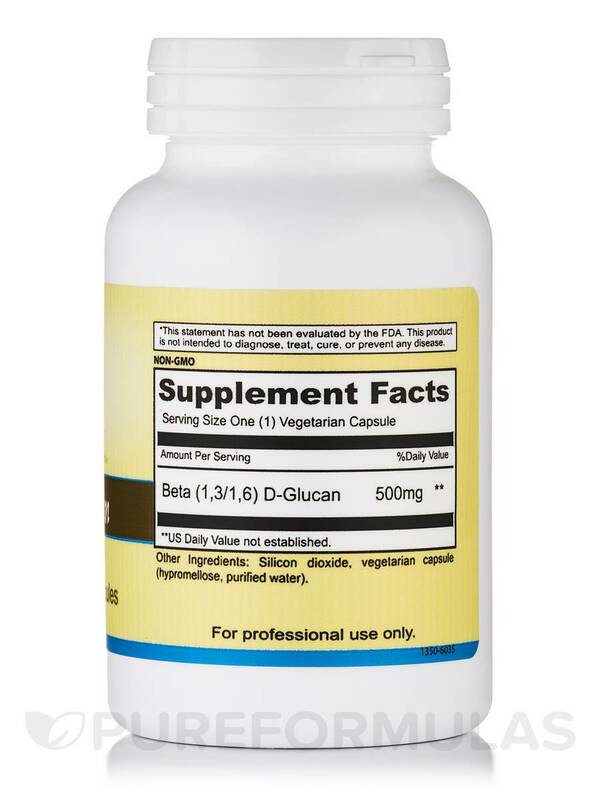 It can be difficult to get enough beta glucan in your diet to strengthen your immune system‚ which is why taking these vegetarian capsules may be right for you. Beta glucan works by stimulating immune system cells called macrophages‚ which attack bacteria‚ viruses‚ and other invaders; they stimulate other immune system components to attack these invaders as well. 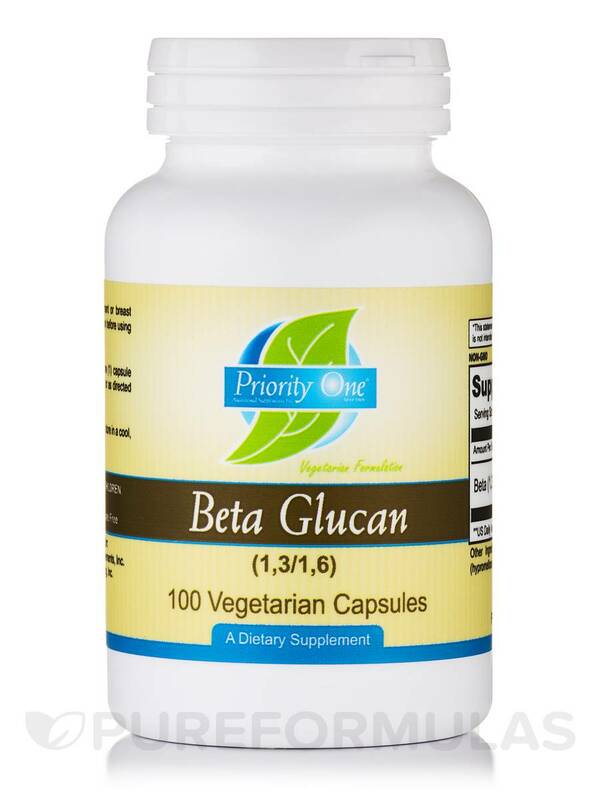 Beta-1‚ 3-D Glucan is the main ingredient in Beta Glucan 500 mg by Priority One. 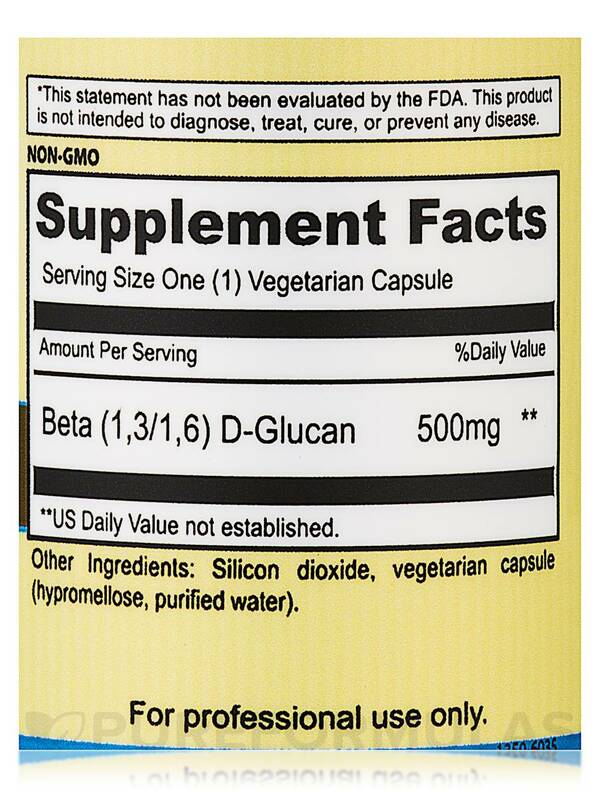 Take two capsules of Beta Glucan 500 mg daily‚ unless otherwise recommended by your health care provider. 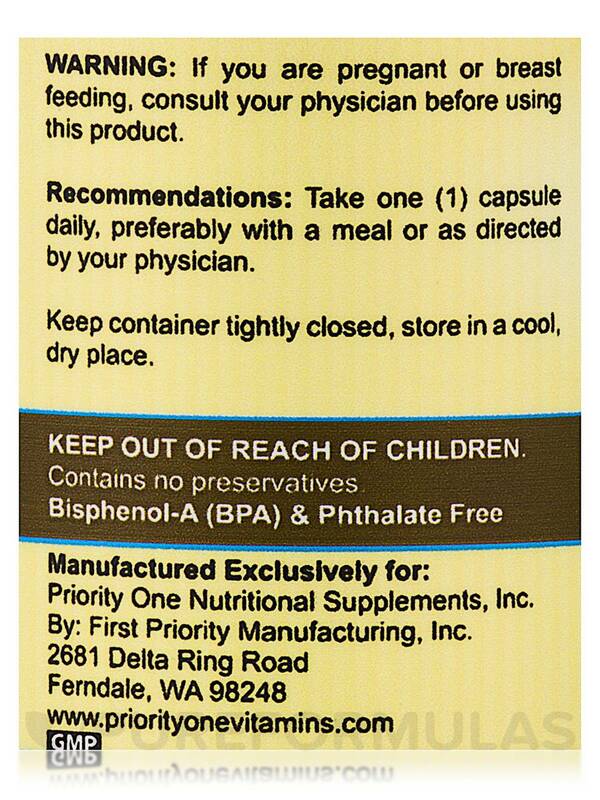 Other Ingredients: Silicon dioxide‚ vegetarian capsule (hypromellose‚ purified water). Take one (1) capsule daily‚ preferably with a meal or as directed by your physician. Do you know when you might be getting this product back in stock? Is this product available without the Silicon Dioxide?